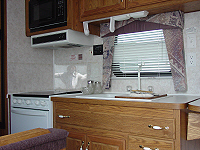 This unit has a 4 Star Rate! 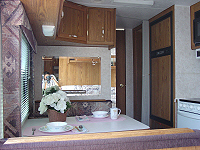 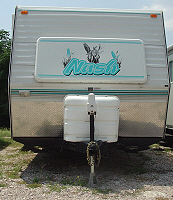 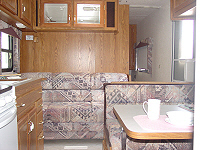 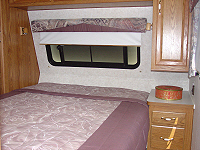 It comes with a front queen bed, rear bath, rear bunks, center kitchen and luscious interior of Light Blue. 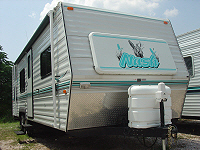 This is a very clean unit!